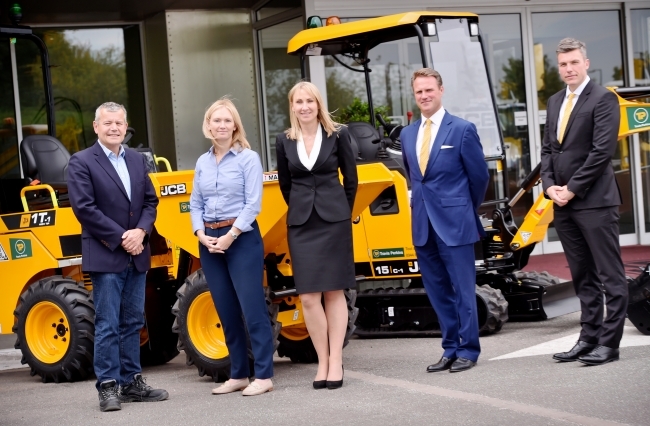 One of the UK’s largest builder’s merchants has invested in 500 new JCB machines worth more than £7 million for its tool hire division. Travis Perkins has bought a fleet of JCB mini excavators and one tonne High Tip site dumpers to further strengthen its UK-wide tool hire business. This brings the company’s investment to more than 2,700 JCB machines in the past decade. Supplied by JCB dealer, Watling JCB, the new machines have been delivered to Travis Perkins’ vast network of 660 branches ready for use on construction and development sites across the country. The one tonne High Tip dumpers are part of a full line up of JCB site dumpers manufactured at JCB World Headquarters, Rocester, while the mini excavators are produced at JCB Compact Products, Cheadle, Staffordshire.